Being a new mom makes it really difficult to begin your fitness journey. There seem to be so many more important things on your mind than working out. Many new moms are struggling with losing weight after just having a baby. Do you feel like you have no time to get anything done, let alone work out!? It’s important that you know you are not alone in this feeling. There are many women just like you who are feeling this. Every day as a new mom, it just seems so hard to get back in shape. There is laundry to do, diapers to change, clothes to fold, sleep to catch up on, people to visit… and the list goes on. How do you fit in a workout on top of that? 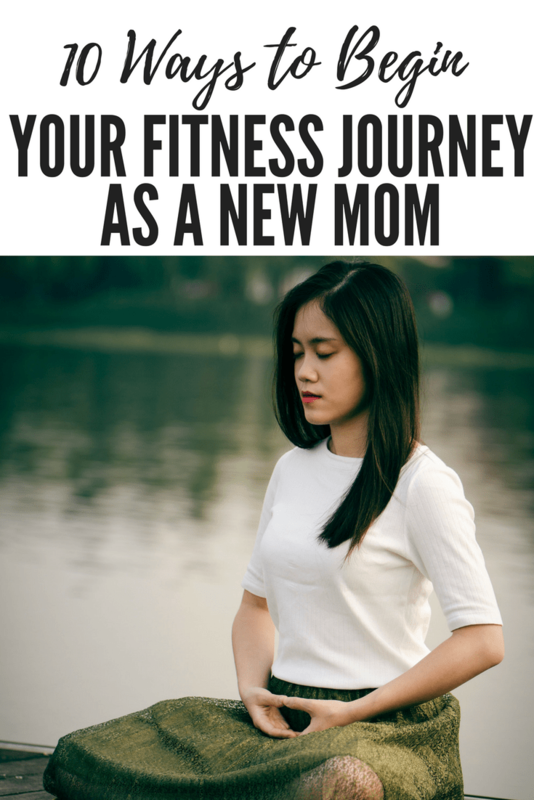 Here are a few ideas that can jump start your fitness journey as a new mom in the right direction in case you have no time to get to a gym or any gym classes. No, you do not need to get a jogging stroller, but it would be a good investment. But even just walking with a regular stroller Do this once a day for 1 mile, 5-6 times a week. This is a great place to start if you are on maternity leave or staying home, this is the first step. Even just walking around with a stroller is considered fitness and can help you jump start that journey. We are in a really lucky time in technology where we can basically stream anything that we want to on our computers, TVs, and phones. You can find 10-15 workout videos on YouTube – Pop Sugar is a great resource. 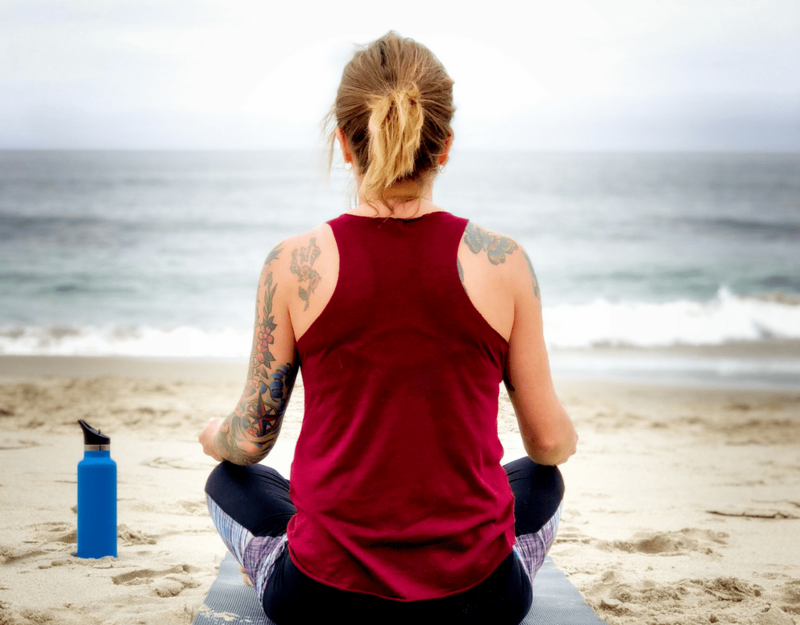 However, I say yoga specifically because it still requires a lot of strength but it can be done while the baby sleeps and is quiet and powerful enough that it won’t wake a sleeping baby. Do all chores with the baby strapped into a wrap. The baby adds about 8-20 pounds onto you (depending on the size of your baby) and as you are vacuuming, washing dishes, putting laundry in the wash or folding it, putting dishes away, carrying items back and forth up the stairs – these are all things you are doing anyway but now with almost 10 more pounds added. This can build strength in legs, arms, and core. Being able to hold yourself accountable is huge. If no one else is there but a baby that doesn’t talk yet, who is going to tell you to get up off the couch and start moving? Fitbit will! They will tell you when you get up and walk and when you have been sitting for too long. Being able to see how many steps you have taken in a day can help you set a goal and get yourself up and moving. Join a group of moms on Facebook or Instagram and make some friends. They know what you are going through, they can help hold you accountable for doing workouts at home or not. There are tons of fitness groups online too as well as online fitness coaches that can help new moms get back into a routine. Anything that you are doing, carry around a weight. If you are sitting and breastfeeding, the other hand should be doing curls. You can use them to do weighted squats when the baby is sleeping or while they are sitting in their high chair. Pick a time that you are willing to dedicate to working out today. Don’t pick an unrealistic time like early in the morning. That is setting yourself up for failure. Pick possibly before dinner or when the baby is napping every day. This way you will be able to stick to your goal. I loved my Fitbit after having a baby, especially for tracking my crazy sleep cycles! Me too! Fitbits are awesome – I really love the ones that tell me if I have a text message too and tracks my fitness!